Are you a child of the 80s? Or even 90s? Remember how cool it was to have a mood ring? To watch it change colors? I do! I remember cherishing my mood ring in middle school and wearing it all the time. But now that I’m older and a mom myself I don’t think wearing a mood ring is going to working out for me. But there is a stunning piece of jewelry that is reminiscent of the mood ring of years past, Curioso Cuff. Curioso Cuff is a beautiful jewelry cuff with an intricate weave and light up opal. Yes you read that right, a light up opal! Reminiscent of the mood ring your Curioso Cuff will light up in hues of purple , green, blue and pink. There are 3 different settings for the cuff. The first is a beautiful purple stone, another is a blending of all the colors slowing morphing into another and the last one is a quick, pulsating color change. The cuff is sure to fit any wrist. I typically wear a larger bracelet and I was easily able to bend the cuff to comfortably fit my wrist. 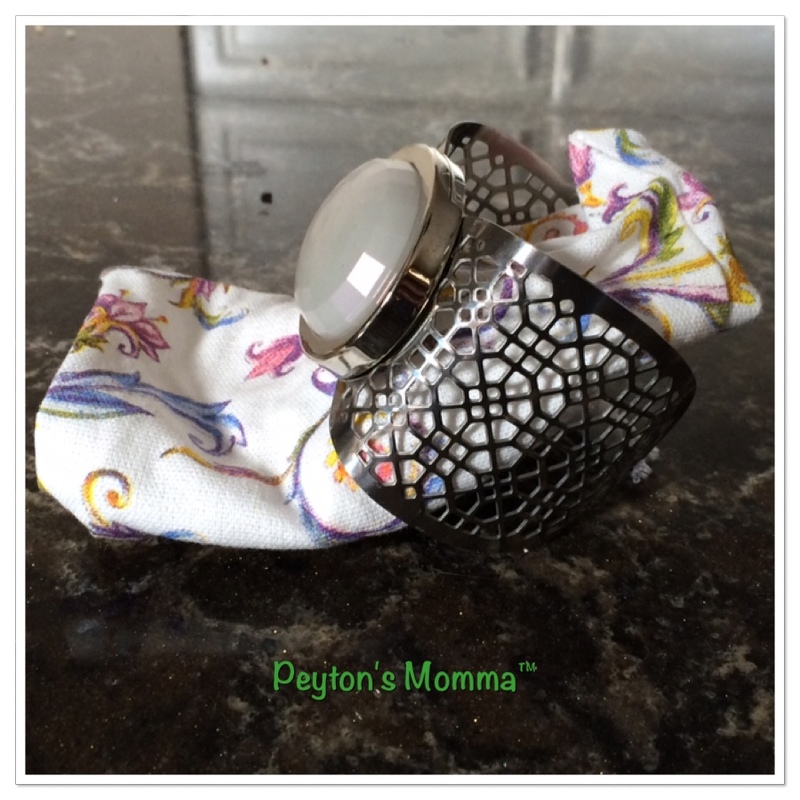 Peyton even tried on the cuff on and we were able to adjust it to fit her wrist too. The material the cuff is made out of is forgiving and adjustable to fit anyone. The Curioso Cuff is lead and nickel free. It was invented right here in the United States in Pittsburgh Pennsylvania! The Curioso Cuff is a balanced blend of European and American features creating a beautiful light up cuff for women regardless of age. 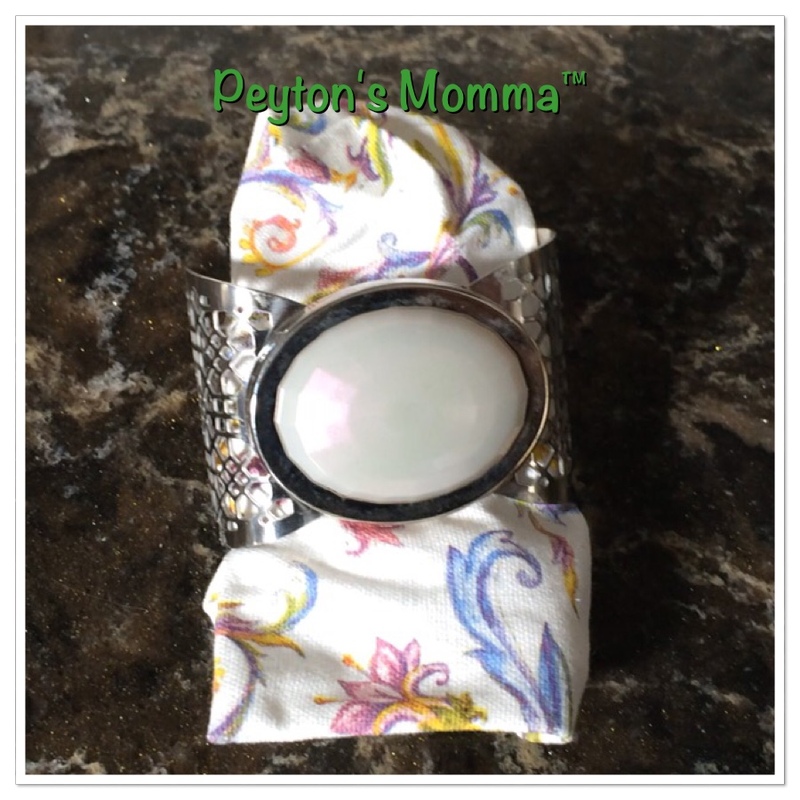 I really loved the cuff for it’s creatively designed weave and Peyton loves the light up Opal. I also love that it comes with a protective pouch to keep my Curioso Cuff safe when I’m not wearing it or protected during travel. We have a vacation planned to Disney later this year and I keep thinking how fun this cuff would be to wear at the dance parties! You can purchase you very own Curioso Cuff online.